We all love holidays. People gather, relax, eat delicious food and have fun together on those occasions. One of the funnest holidays is Halloween. Especially for kids! They dress up in fun costumes, carve pumpkins and go trick-or-treating. The best part of this holiday for them is probably checking out the candies they gathered. Halloween decorations are also very important elements that help us get into the scary mood. These colorful free printables will surely help you turn your house into a Halloween playground. 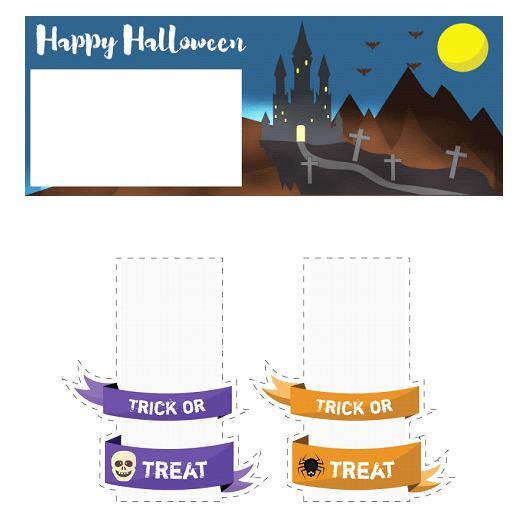 You can use them to prepare treats labeled with some scary notes for the kids, decorate your home and throw a fun and spooky party. Simply download the stickers, print them out and have a Happy Halloween!